The map representing the Russian campaign of the French army in 1812 is a true celebrity of the data visualization world, mostly known for its spectacular features. Lines show the number, location and direction of the army troops. The temperature during the return from Moscow is shown at the bottom. The campaign was a carnage and cold weather had something to do with it. In The Visual Display of Quantitative Information (p. 40), Tufte famously writes "It may well be the best statistical graphic ever drawn." Yet, the map has many more features, some hidden in plain sight. 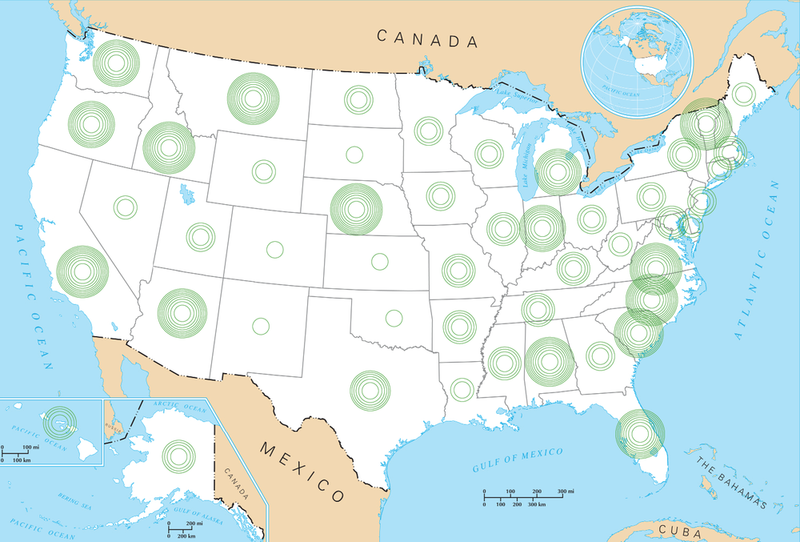 Knowing that people don't read many of the stories they share — something that affected another celebrity of information design — perhaps more is overlooked on this map than we realize. This list doesn't pretend to be any more than the result of a few hours of close reading and online research, but it was good geeky fun to prepare and might inform a few readers. I know I learnt more than I care to admit. 1. It was not created by Edward Tufte. I've heard this one surprisingly often, even though Tufte doesn't claim credit for it. 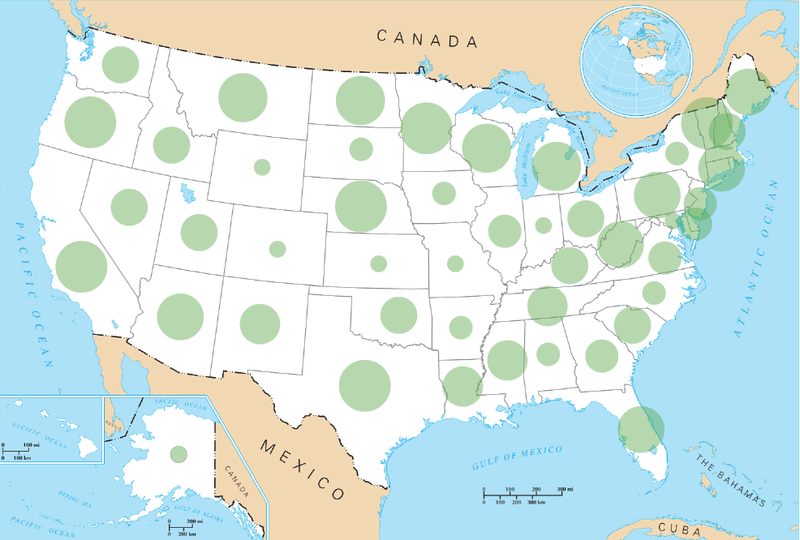 Most people were introduced to the map by his books and conferences so it became the "Tufte map". Credit for this masterpiece goes to Charles Joseph Minard, a French civil engineer who created the map during his retirement years. The events took place in 1812, but Minard created the map 57 years later, in 1869, an eternity at a time when life expectancy in France was around 40 years (interestingly, Minard lived to be 89 years old). Compared with today's longevity, it's the equivalent in terms of generations of creating now a map of World War I (1914-18). This was already a historical map when it was designed. In Beautiful Evidence, Tufte mentions that the map "is the last sheet in Minard's portfolio". He had accumulated experience from the creation of some 51 thematic maps. Cattle map, by Minard. Source: Wikipedia. It starts in then-Poland (now Lithuania), at the Neman River, quite far from France. This might not be self-evident to the reader, given that Napoleon was French, and that the countries are not mentioned on the map. By the way, Google Maps estimates that the trip from the Neman River to Moscow and back would take 20 days of non-stop walking. The campaign lasted 174 days. Very approximate path of the French army. It is tempting to attribute the losses to the cold weather on the way back from Moscow, but a careful reading of the map shows otherwise. By the time Napoleon reached the capital, he had already lost some 75% of his troops (322,000 out of 422,000). The main cause was starvation because the retreating Russian troops were burning the land, villages and crops to deny food to Napoleon's army. The cold weather and battles on the way back took "only" another 20% of the original troops. Even though this map is known by some as the "Napoleon map", Minard doesn't mention him. Tufte's theory, based on Minard's biography, is that "full attention is to be given to memorializing the dead soldiers rather than celebrating the surviving celebrity." (Beautiful Evidence, p. 136) In fact, Tufte suggests that this is an anti-war map, from the way it stresses the catastrophic human losses. a) The author identifies himself. c) It integrates evidence. This is a good example of something so well done that it becomes invisible. All the information you need is there where and when you need it. There's little that is "clumsy" about this graph. Now I admit, this one is more difficult to achieve. It is perhaps unsurprising given the French origins of the map, but since Tufte sells both versions, most people seem to have seen the English one. I also suspect that few people get close enough to read the text. Edward Tufte is the source of the translation — see The Visual Display of Quantitative Information, page 40, and his sales page, where he refers to "our new English translation". Update (2016-05-21): Tufte credits Dawn Finley for the translation and Elaine Morse for the redrawing (Ibid, p. 124). The map was published as part of a lithograph of two maps, the top one representing a campaign by the military commander Hannibal, some 2000 years before that of Napoleon. A similar scenario played out, whereby Hannibal lost 70,000 of the 96,000 troops he had at the start. Version translated to English. Source: EdwardTufte.com. See Beautiful Evidence p. 135 for the complete lithograph with the two maps. There is one artifact of this separation on the Minard poster: the top line of the frame surrounding the map is double only at the top, the top line being most likely the bottom one of the Hannibal map above. a) Minard acknowledges that himself. Minard admits that his visual representation is based on certain choices that sacrifice accuracy in favor of the story. Orcha and Vitebsk are about at the halfway point. Without knowing the size of these troops, it is hard to know how much of an impact this would have, but one thing is clear: it would make the comparison of the initial and final number of troops, at the Neman River, less dramatic. Also, it is doubtful that the troops returned so far South from their departure point, but likely that it is a design choice by Minard who could not overlap the two lines. In fact, Martin Grandjean suggests based on historical documents that the movement of troops was much more complex than shown by Minard. b) The visual representation of the final number of troops is exaggerated. The legend says that 1 millimeter equals 10,000 troops, but where the label indicates 10,000 returning troops, the line is closer to 2 millimeters, almost twice the accurate size. A side note about the army losses: they were not only deaths, but also desertions, wounds, diseases and prisoners. c) The north is not exactly at the top. If there was an arrow indicating the north, it would lean slightly to the left. Kaunas, the departure point, is at 54° 53′ 50″ N while Moscow is less than one degree north, at 55° 45′ 0″ N, A map with the north perfectly pointing at the top would show a flatter path, a lesser upward trends towards the right. It is surprising that the map should miss a north-arrow. The temperature scale at the bottom is not in Celcius, but in the scale of Réaumur, whereby water freezes at 0 °Ré and boils at 80 °Ré. So when it says that the temperature reached -30 °Ré on the 6th, it was actually -37.5 °C (-35.5 °F). Things were worse than they look if you mistakenly assume that the temperatures are displayed in Celsius. Tufte's translation, however, adds the Celsius and Fahrenheit scales. I see it beige and Tufte calls it tan, but Minard describes it as red. Is it because the word had a different meaning or because the original map has discolored over time? Since the French word "rouge" designates the color of blood since the 12th century and that "beige" exists in French since the 13th century with its present meaning, one would think that the color might have changed over time. But Tufte thinks that the line was never red because the originals are well protected and show the same tan. Also, Minard used red on other maps and it is still bright today (Ibid. p. 131). So, what gives? For now, it only has a section on the page of Charles Joseph Minard. Yet, the image appears on more than Wikipedia 500 pages although not all of them are articles; some are talk pages, user pages, etc. It might only be a question of time before someone creates it. There's something more we can learn with your participation: which of these things are most and least known? Answer below on which things you already knew. No need to brag: it's anonymous — you can brag on Twitter though. My platform does not allow the immediate display of the results, but I will eventually compile and share them. Can you continue this list? Fire away in the comments below. Part II of my observations from the World Bank Data Dive on poverty and corruption. It might start with the data, but for me the fun is in the analysis, especially visual. I had in fact joined the group fighting corruption because they seemed the most likely to need data exploration and visualization. Below is the result of a long day's worth, more or less. I wish I had a graph shining the light of integrity on collusion, coercion or some other evil, but no. Slowed down by data issues, we did not make it that far. I can't say that I'm satisfied with any graph I've done over the week-end but then again, I've done them. The first one happened while I was idly playing with the project data. 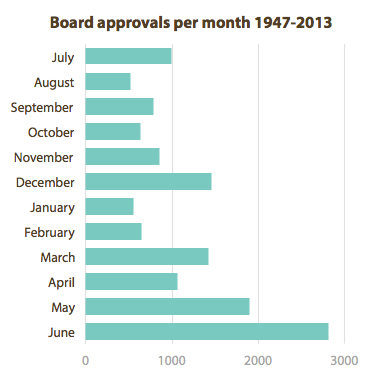 By déformation professionnelle, I looked at the number of projects that the Board of Directors had approved per month. With July at the top, it is clear that there is a rush to approve more projects towards the end of the fiscal year, in June. Is it possible that more cases of corruption happen in projects approved in May and June because the staff takes less time to conduct the due diligence? This question opened the Pandora box of linking disbarment data and the project data. If we were to find project characteristics that lead to higher likelihood of corruption, it could orient the preventive work of the integrity team. It was too much to resist and became our undoing as we spent hours trying to recreate that link, leaving available data sets unused. While the true wizards were working on said link, I continued to explore visually the project data. My original graph showed cumulative approvals for 66 years. What if this bunching is an old problem and that the Board now approves a constant number of projects per month? I needed a trend. I'm afraid this is my best effort of the week-end. About 800 data points visible with a clear enough message: the trend has worsened over the decades and the Board approves a growing share of projects towards the end of the year. The months with a larger share have gotten an increasing share vice versa. Since the mid-1980s, the share has reached 30% regularly in June. This is nearly four times as much as would be expected from an equal distribution per month (1/12 = 8.25%). This finding confirmed that it was still worth exploring the impact of this share of approvals on the due diligence of individual projects. Unfortunately, the data materialized too late and the link was never explored. We did get an original data set though: the historical list of firms and individuals disbarred by the World Bank. I'm afraid I did nothing worth sharing with it. A few bar graphs showing the number of firms, the average number of days of disbarment per country. No corruption fighting histogram in there, no revolutionary radar graph. 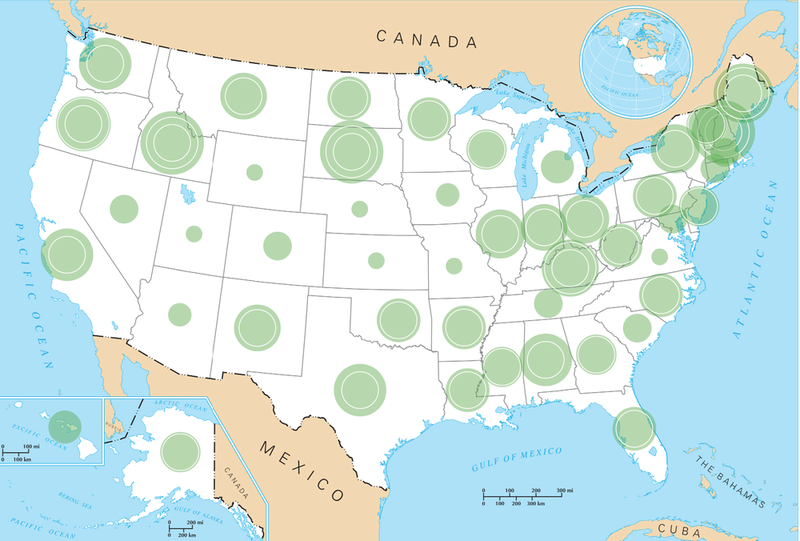 In lieu, here are two of the most interesting visualizations I've seen. 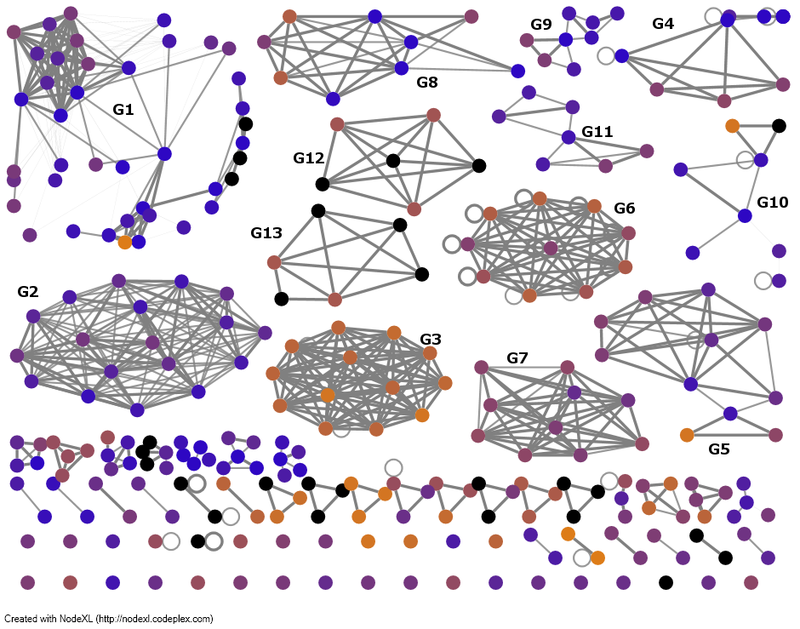 The first one is a network diagram of the bidders on World Bank contracts built by Nick Violi with data that he scraped himself (wow). It draws no conclusion, but it makes me curious. What are these clusters? I don't even know what the colors mean, but I'd like to know why some clusters are all yellow, some are mostly blue and some are mixed. G11 is an interesting nod, as it bids on few things but then bids across two clusters. What kind of company can it be? 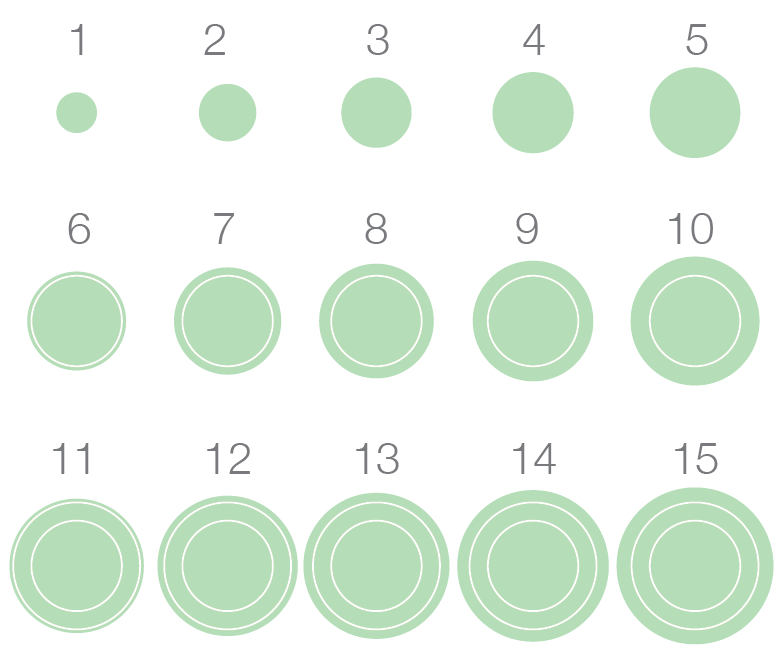 This is the kind of exploratory visualization that makes me want to dive into the data. The second is from a team exploring UNDP's resources allocation. 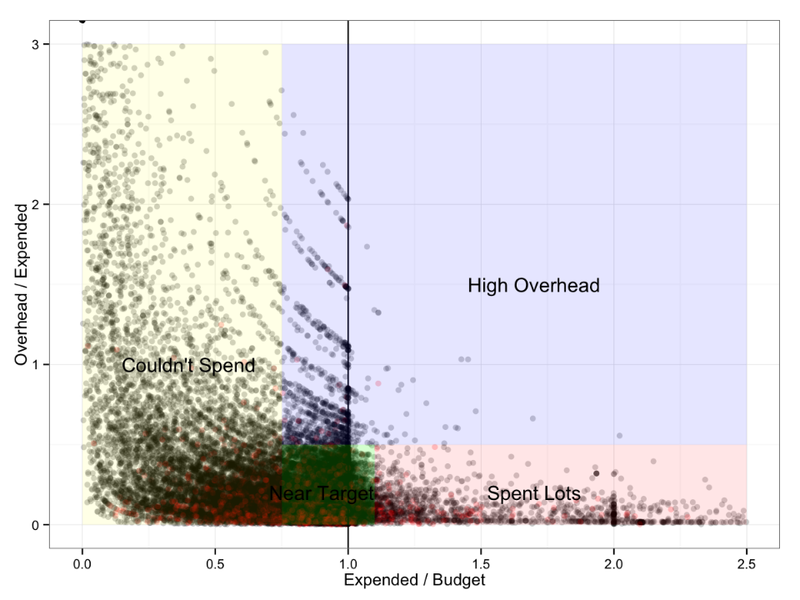 In a scatter plot, it compares the overhead with the expenses of, apparently, hundreds of projects. It might look like a Caribbean hurricane to you, but to me the resulting distribution of the data is surprisingly elegant. The two measures have expenses in common, which accounts for the slope pattern. The horizontal cut-off at 1.0 is due to budget limits (or one hopes). The color overlay provides a nice analytical tool, suggesting to the reader where to look and how to interpret the data. There are a few startling findings already. A surprising number of projects have spent 2-3 times as much in overhead as in operations. Despite the high quantity of outliers, there is a strong concentration of projects around the target of spending 100% of budget and keeping the overhead low, which suggests good planning and lean implementation. 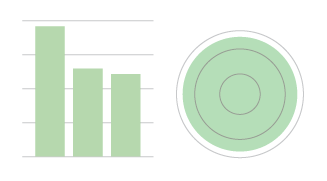 This graph would benefit from some graphic design flair. The overlay text should be readable and aligned everywhere. The overlay colors could be more visible and helpful. 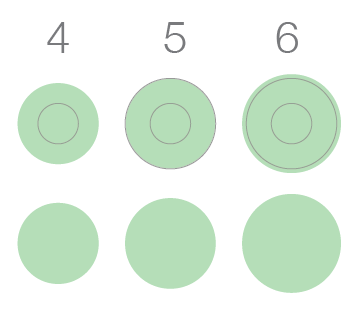 I'd be curious to experiment with empty circles instead of semi-transparent ones. The vertical text could be made horizontal. The light grey frame could be removed. Knowing the conditions in which these graphs were produced, I wouldn't take the data for granted, nor draw any hard conclusion. But they might inspire a few in-depths analysis. Have a look at a few more on this Tumblr. Thank you but mostly congratulations to the organizers at the World Bank and DataKind. For an event so open, it is impressive how purposeful it felt. A special thanks to the to data ambassadors of our group, Sisi Wei and Taimur Sajid. I hope that the World Bank, UNDP and other organizers and participants will benefit from the event. I know I did.